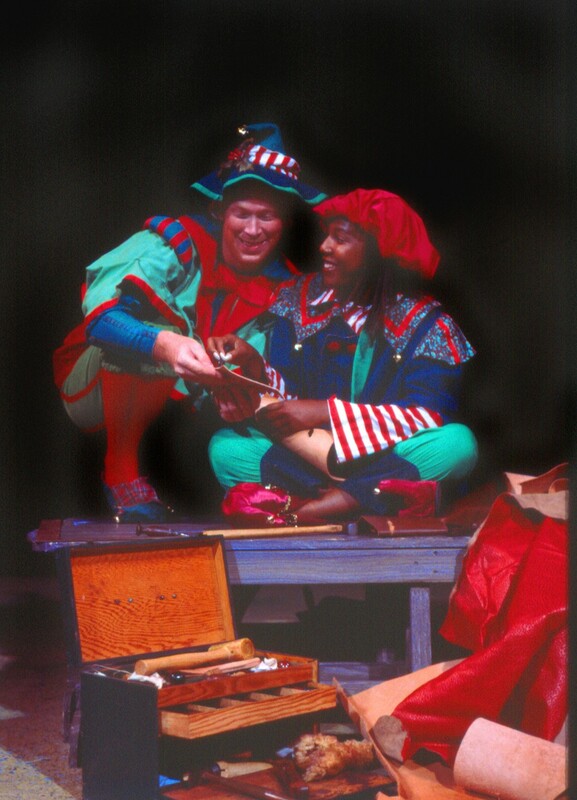 A scene from “The Shoemaker and the Christmas Elves,” performed by Virginia Rep on Tour. UC Clermont College’s Calico Children’s Theatre will feature “The Shoemaker and the Christmas Elves”, performed by Virginia Rep on Tour, 6:30 p.m., Thursday, Dec. 13. The show takes a yuletide spin on a classic Brothers’ Grimm fairy tale. Children will delight in the magical story of a poor shoemaker and the magical elves who show him the true meaning of Christmas. While Santa sends toy-making elves to the shoemaker shop, and the shoemaker finds dolls in his shop, all is right in this heartwarming holiday musical. The show is recommended for grades K-6. All performances are held in the Krueger Auditorium on the UC Clermont College campus at 4200 Clermont College Dr., Batavia, Ohio, and are approximately one hour long. For additional information, order forms or to order online, visit www.ucclermont.edu/community/arts or contact UC Clermont Community Arts at (513) 558-2787.